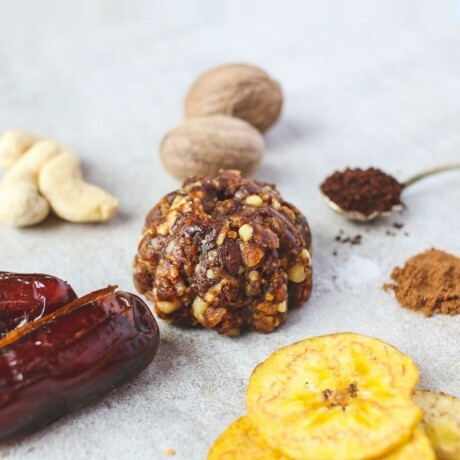 Enjoy a revitalising kick of energy with these coffee walnut energy balls. Bitter sweet and crunchy, its flavours open while eating like layers of mystery, delivering a smooth kick of coffee to kickstart your day. They are a source of vitamin B6 which is thought to help reduce tiredness and fatigue. Comes as a box of 6 superfood energy balls, each ball is 20g. Sink into the flavours while each serving gives you fibre, as well as important minerals copper and manganese which help you release energy from food. Vegan and refined sugar free. A fully natural, healthy snack made from nature's own power pack - nuts, seeds and fruits; that's what Go Nutz Energy Balls are all about. Happiness comes in different forms - sometimes, it takes the shape of a nice snack stacked with nutritious goodness. 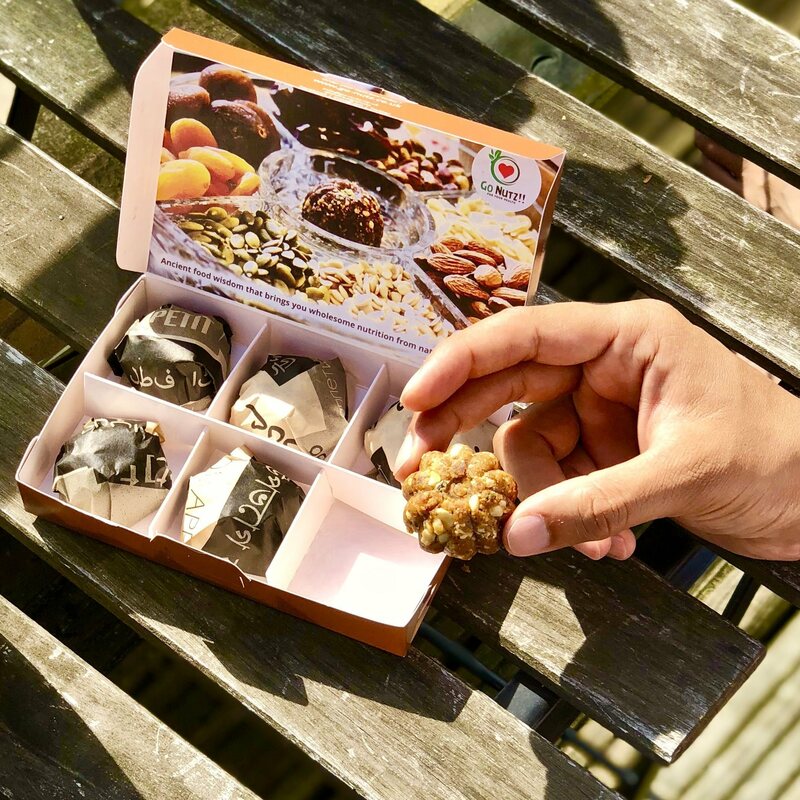 Encouraging mindful eating, the artisans at Go Nutz believe that healthy eating fuels people to push boundaries, keep going, do more; whether this be about their health, their wellbeing or just getting more out of life. They pride themselves on crafting their great tasting energy balls as a means to that end. Ideal as an energy boosting snack when in the office, exercising, on a long drive or just as a relaxing treat with a cup of tea. Shelf life: Consume within 5 days of opening. Store at room temperature in a cool, dry place. Allergens in bold. Made in an environment that uses peanuts, tree nuts, sesame seeds, sulphites and sulphur dioxide. Perfect way to enjoy a delicious and nutritious snack! What a healthy way to enjoy a delicious and nutritious snack! You only need one to feel full - I use them after the gym for a boost! Super fresh and packed with quality ingredients! Great taste and texture. A little chewy which I like. A deliciously healthy snack for someone on the go! I ordered two packs of Coffee Walnut Enery Balls and they arrived today - OMG they are delicious! Super fresh and packed full of quality ingredients. 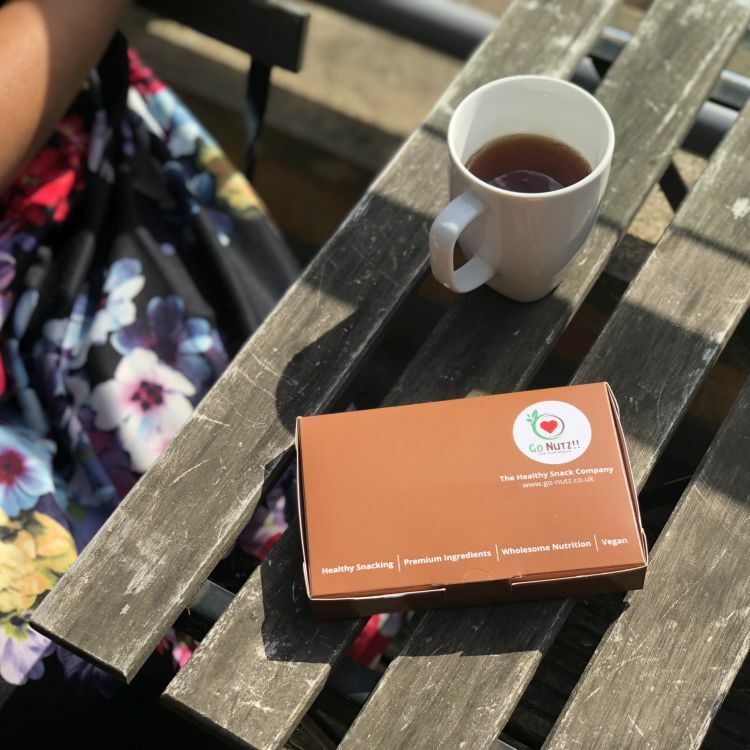 I actually ordered them because they had 30% off which worked out at fantastic value, but now I’ve tasted them, I would happily pay full price - a really tasty and healthy snack, particularly for someone who does regular exercise and needs a boost afterwards! Thankyou Go Nutz! After the enlightenment of how food plays major role in our lives, I have been very careful with the food and specially the snacks which is always undermined but surprisingly is the main culprit of all the problems eventually stress. Go-Nutz is absolutely a healthy plus tasty snack that you can just have on the go. We recently went on a vacation and these energy balls came so handy and a relief to have specially with kids when you want to avoid all the junk snacks which may upset their stomach and in turn could ruin your wonderful vacation. I like all the flavours but peanut and ginger ones are my favourites. Each of them have their own peculiar kick which makes you want to have them more and more. All natural energy balls, combining the best ingredients in exciting fusions to give you wholesome nutrition in every bite.